This tropical skink can be found amongst grasses, in low vegetation and rocky outcrops from the coast to the savannas. Often hides in shallow burrows. 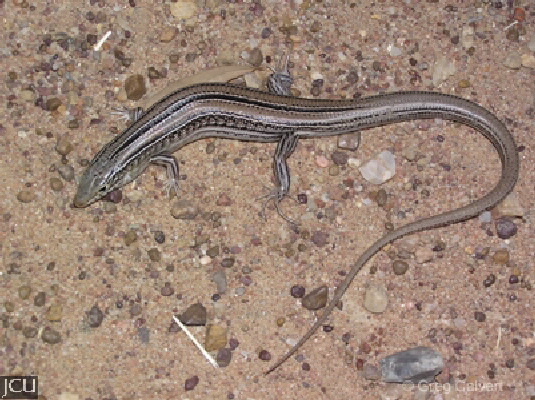 Similar to C. robustus in colour, but the dorsal stripes are obscure or absent however the lateral stripes are present; belly is whitish. It has a long slender tail.